With the love of eyelashes, more friends who love beauty have started their own eyelash business and looking for a suitable eyelash vendor. However, when they find a quality eyelash product supplier and want to buy it, when they talk about the wholesale mink lashes price, they still feel that they can’t accept it. Therefore, WELLA LASHES in order to solve the customer’s doubts but also very much want to buy the heart, we carried out the wholesale activities of eyelashes. You only need 89.9 US dollars, you can choose any of your favorite eyelash styles and lengths in our 22mm 3D mink lashes, 20mm Siberian mink eyelashes, 16mm regular mink lashes, and you can also choose 10 eyelash packaging box in any style in our box. And, we are free shipping. This event is really a great deal for you to start the eyelash business. You can buy a few pairs of our eyelash samples, try our eyelash quality and feel the beauty of our eyelashes. What are you still hesitating, my friend, hurry and buy it in the specified time. Wella Lashes can give you a custom private logo and ship it to you in a short time. 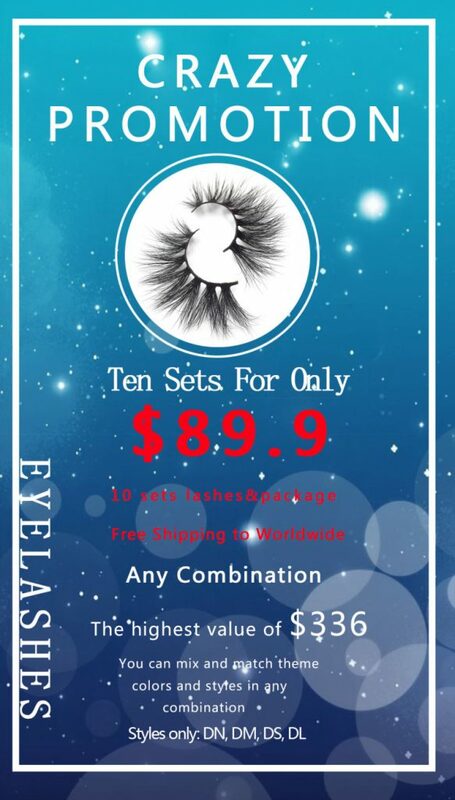 The special offer for custom eyelash packaging begins.